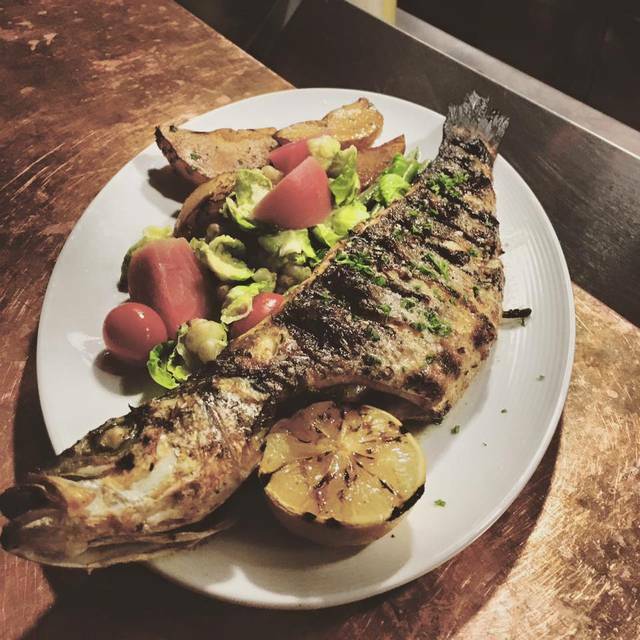 You must make reservations at least 5 minutes in advance of the time at The Greek By Anatoli - Yaletown. Thomas Makris, from the Island of Skopelos, fell in love when he met Helen Babalos. They met at Orestes Greek restaurant in 1974, while on a Greek dancing tour of North America. 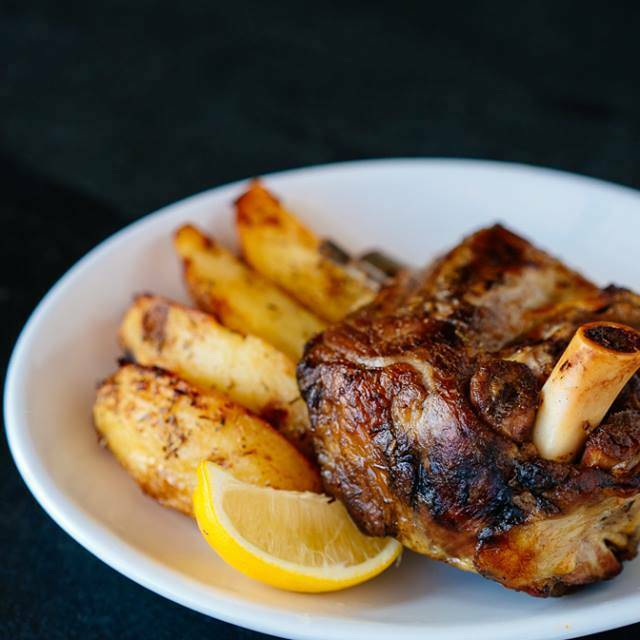 Soon after their marriage, they had a vision to open a place like no other in Vancouver; a Greek restaurant where everyone is family; where everyone receives a consistent experience created by delicious homemade authentic food and impeccable service. 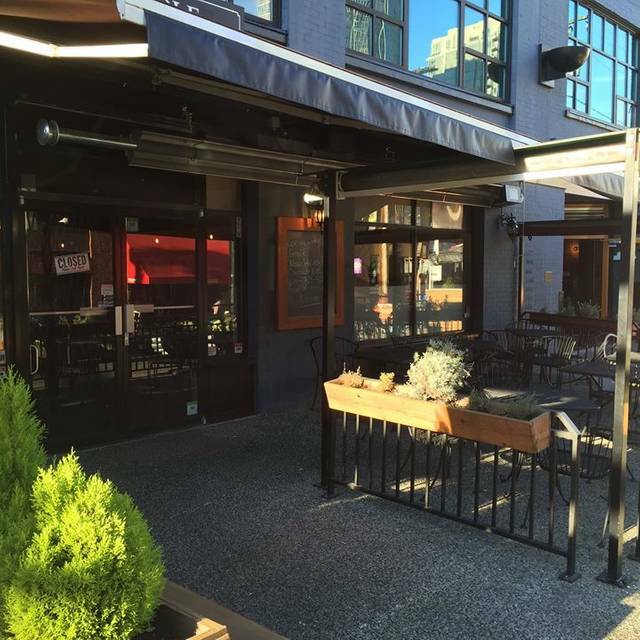 In 1984 they opened Anatoli Souvlaki in north Vancouver. 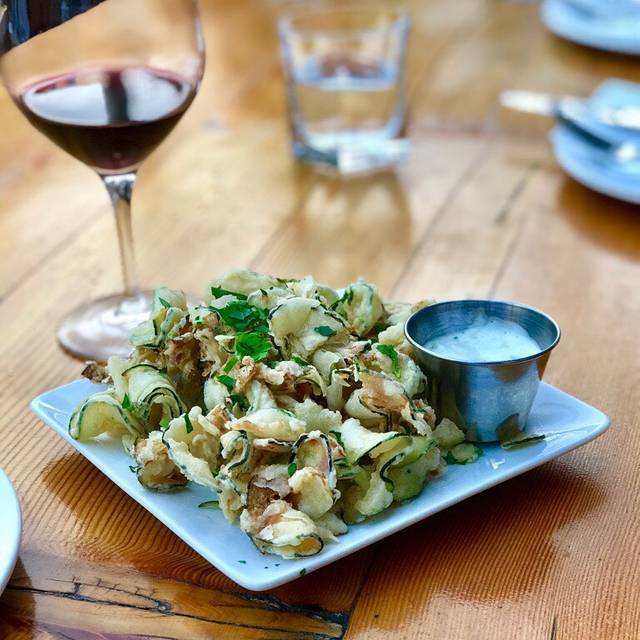 In 2011 their sons Alexi and Iani took over the restaurant and early 2015 they expanded on their parents original dream, in a new venture with their cousin Daniel Bergman, Alexi and Iani opened ‘The Greek by Anatoli’ in Yaletown. 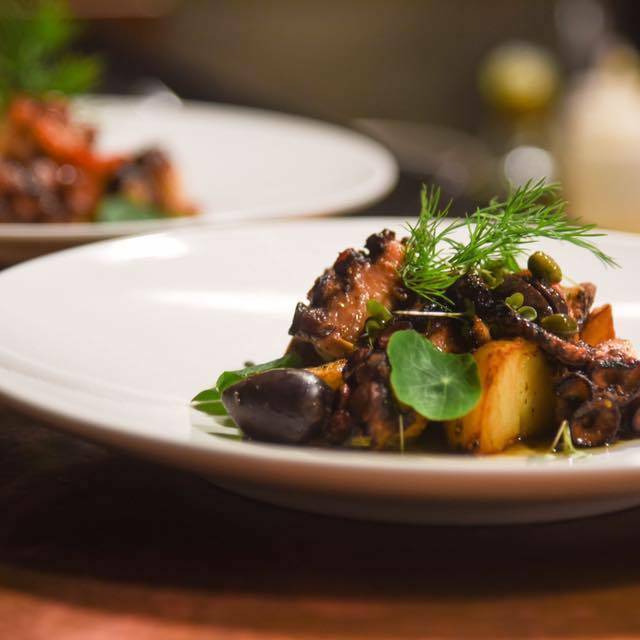 ‘The Greek by Anatoli’ focuses on small share plates or “mezze”. Hostess was quite terrible but our server was wonderful and made up for the terrible greeting or lack of greeting and service. Food doesn’t taste good as before, but still decent. Food was very good but came out inconsistently with our friends dishes. But nice patio. Good service by Victoria. 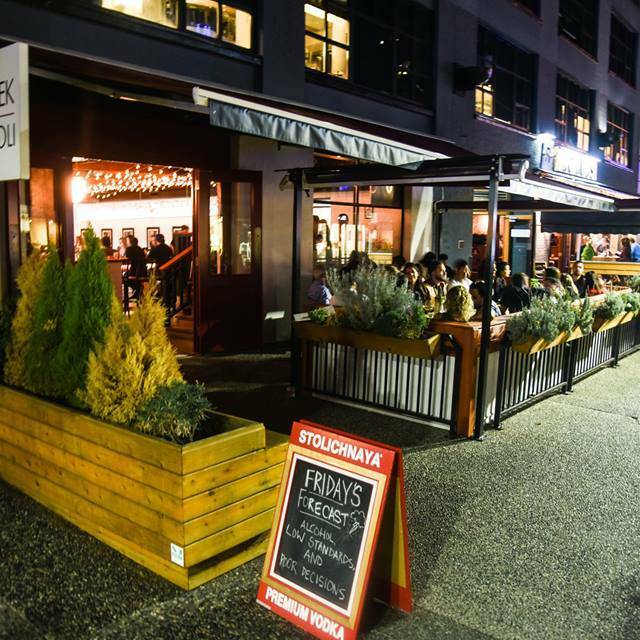 Lively crowd and good food would go again for casual meal in Yaletown. Surprised that they don’t serve Greek coffee. I had great lunch there, good food, good services, and reasonable price. I definitely come back and recommend. Love it! The food was delicious and the service went above and beyond! Liked the food. Liked the vibe. Enjoyed our evening. Always great food and service...for us, a treat, as quite pricey. 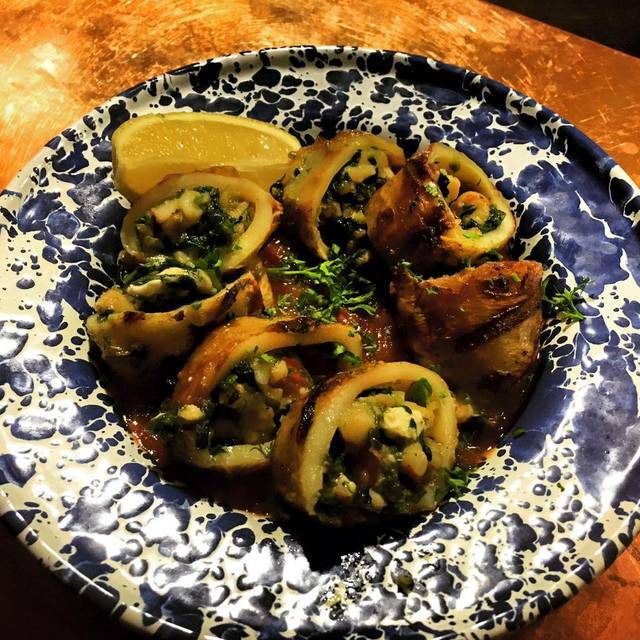 High energy upbeat environment with great service and delicious food. We ordered the souvlaki platter. Plenty of food for the both of us. Hello! I have ordered pretty much the same thing, shared platter, every time I go to dinner here because I absolutely love it! However, I have noticed that the chicken skewers have "shrunken". The pieces of chicken used to be bigger. Additionally, the amount of vegetables that come with it. Again, less vegetables. I'd love to know what happened and why this is happening? Other than that, I love the taste and ambience of this place! Had a great time. Reserved and were seated promptly. Came on a Friday night and it was packed with quite a few loud groups having a great time. As a couple we might prefer a quieter week night but it did not detract from our experience much. Ordered several different things and really enjoyed everything with the exception of our souvlaki meats. We tried the beef, pork and chicken in a combo and found the pork and chicken to be overdone and burnt for our taste. Our server was excellent and everything she recommended was fantastic including the house red wine which we really enjoyed. 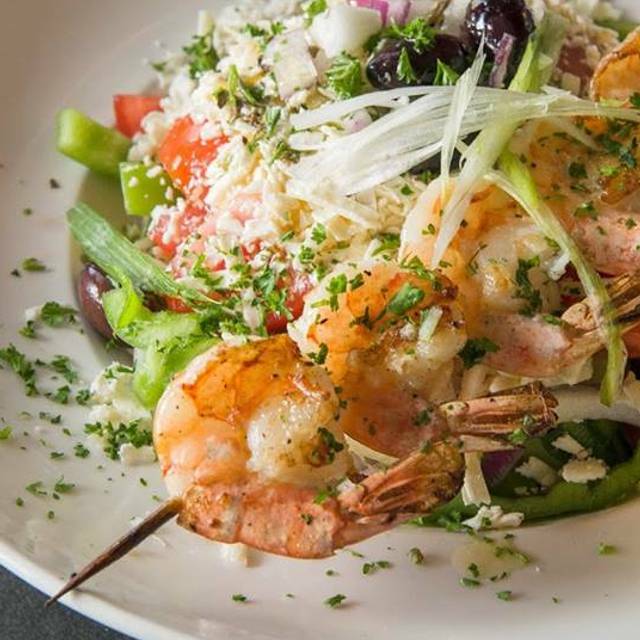 Will definitely be our “go to” for Greek food in the city. Great service, great food couldn’t ask for more, will be back for sure. Tables were a little cramped but overall the food was delicious and the server was very friendly. Food is so good! Service was lovely! Great ambiance gave me and my girlfriend a great chance to visit and enjoy our meal! It was very poor service our appetizers arrived after one entree was served my husband entree came 15 min-20 min after mine had arrived.I had finished my meal by the time he had gotten his,the server did not seem to have any sense of urgency nor did she care are appetizer had not come out after a half hour of waiting maybe because she neglected to come check in with us? I will say I enjoyed my entree though a wee bit cold due to waiting for my husbands to arrive but finally just started without him his came after I finished! We agreed we will give it another try hopefully getting better service as the food was good. Very unfortunate as we were both looking forward to our night out. I realize Saturdays get busy but checking in with your diners goes a long way and taking responsibility and not making the customers feel bad when they are the ones waiting just short of an hour for food is not cool nothing worse than seeing all the tables getting their apps and entrees when they all were seated a good 30 min after us . Paying the bill was another huge wait . We had a great night with excellent food! Will definitely come back! Too many new staff members on shift + too many errors on orders. AC was blaring so we had to move tables as did the next 2 parties they attempted to seat at the same 4 top. Food was mediocre and wine was only fair. Too noisy and salty. Pass. We had the vegetable Mousaka and Roast Lamb. Both excellent. Service was good and attentive. Well worth coming back for another dinner! Celebrated New Years friends. Always a great dining experience. Delicious food and good atmosphere. We had a larger group and unfortunately the meals came out a different times, up to an hour apart. One friend waited for her meal after everyone was done eating, so the timing wasn't great. The server had warned us that the kitchen was small, but we hadn't expected that much difference in timing. Otherwise, the service was exceptional and the food was delicious. Probably better to go with a smaller party. The food was great. Our female server was fantastic. Having visited for the first time she gave us a rundown of the entire menu and answered each question very patiently. The food beginning with the pita cheese option was insanely good. The Souvlaki platter was fantastic too. All four of us loved the total experience. Will definitely visit again! Love this restaurant! My husband and I took my mom who has never been and for a person who is hard to please she absolutely loved it. We ordered the platter and ordered one of each skewer, the lemon potatoes are to die for and rice always perfectly cooked. It fed each of us just the right amount and left feeling good. Enjoyed some wine to pair and look forward to going back sooner than later! Thanks Team Anatoli! 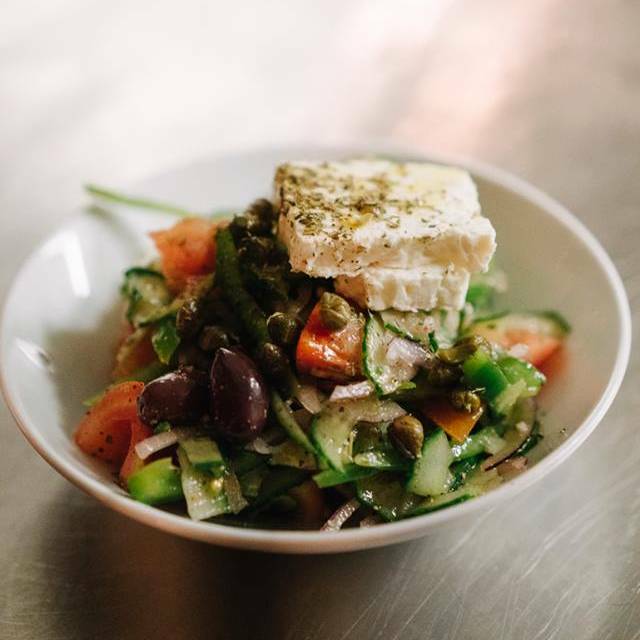 They make their Haloumi cheese in house and it is a must try! I usually order one of their platters as it's perfect to share. It's a busy and vibrant restaurant....great for groups! Server was robotic and had no social graces... interrupted conversations, didn't tell us the specials, etc. Price point is too high for that kind of service. It was my husband’s birthday and I took him here because he loves Greek food. It’s our first time here so I read a lot of reviews before deciding on this one. When we arrived, we were greeted within minutes and got seated. We were seated beside the door to the washroom, so I can smell the “febreeze” whenever the door open and closes, but it wasn’t too much of a problem since it wasn’t bad smell. The table was for two people and it was alright. We ordered food and drinks, they came pretty quickly and were good. The waitress came over once after the food arrived to see if everything was ok. Everything was pretty good till the end when we were about to finish. The waitress asked if we want dessert and we said no because we had other dessert in mind. She left and came back after 5 minutes with our bill. She didn’t say anything but just left it on the table for us and left. We took out the credit card and she came back again with the machine, took the bill and the card and started the transaction. Again, not a word, there was no “how was your meal?” or anything. I was very displeased, not like we’re being cheap and order one entree to share. We had two appys and one big entree suggested to share plus 2 alcoholic drinks! Normally we tip at least 15% but because of the waitress’s attitude, we only tipped 11% because I feel she needs to understand her tips are earned, it’s not MANDATORY to receive 15%. Can get a bit noisy, but food is awesome and prices are ok.
Great cocktails and good food. More variety of the menu (food and wine list) would provide a better experience. Everything was good overall, but felt rushed to finish dinner. We had two servers coming to our table asking to clear the dishes with food on them. Great food, nice variety for sharing. Service very attentive. A little noisy fir conversation, but that can happen on a Saturday night, right? Server allowed me to taste a couple of glasses of wine which I appreciated. Overall just a great experience and would definitely come again and reccomed to friends. Excellent service, excellent food. What more could you ask for. First time eating here. Really wanted Greek food and my husband and I had heard good things about this restaurant. Great food ... wow! The decor and services was also great too! So glad we came here and I we already talked about coming again soon! We were really excited to go to the restaurant after hearing from friends really great things. The evening started out great and the service was good. The only thing that turned us off was the presence of two cockroaches on the wall directly behind us. Fortunately, they came into view once we finished our meal however it turned what was a great experience into a not so great one.